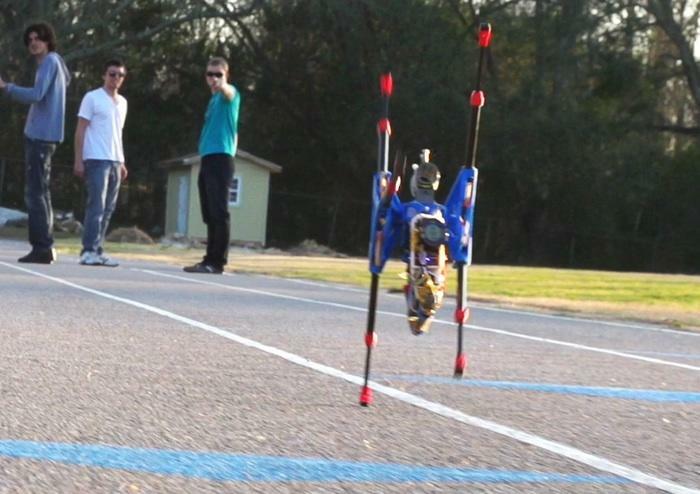 We've all seen videos on line of lion-sized or horse-sized robots racing at terrifying speeds. These are the types of robots Google is working on in its top secret offices, but for the rest of us the robots we can actually go out and buy can't move very fast. 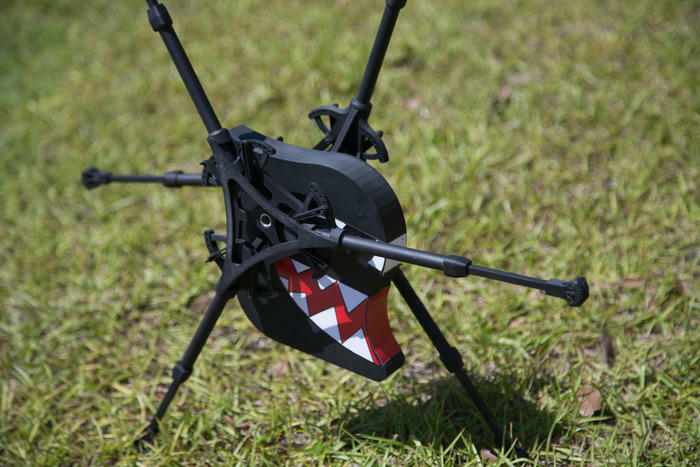 So what if you wanted to spend a reasonable amount of money on a super-fast running robot? That's where OutRunner comes in, though this speedy little robot won't ever see the light of day if its creators don't hit their crowd-funding goals on Kickstarter. 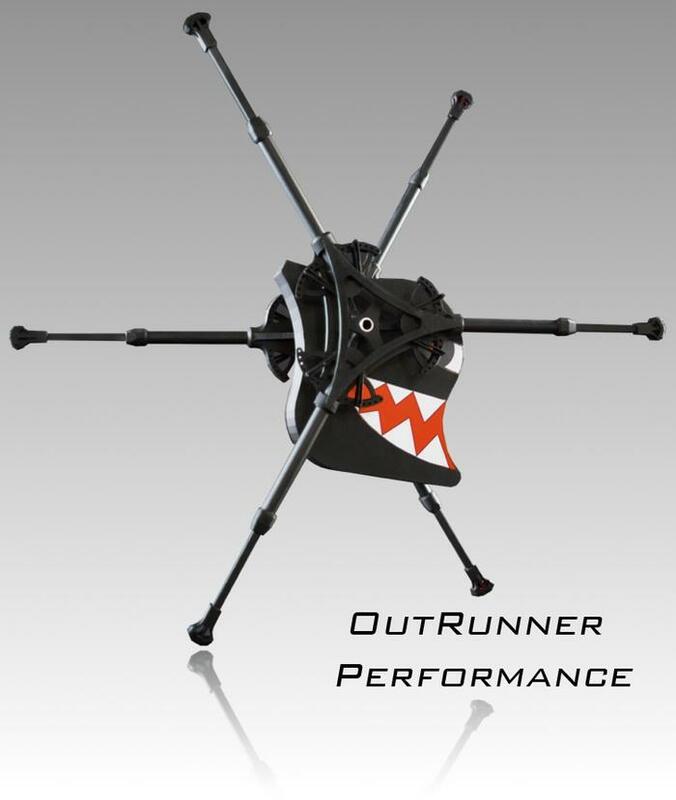 OutRunner is billed as the "world's first legged running robot that is commercially available to the public." 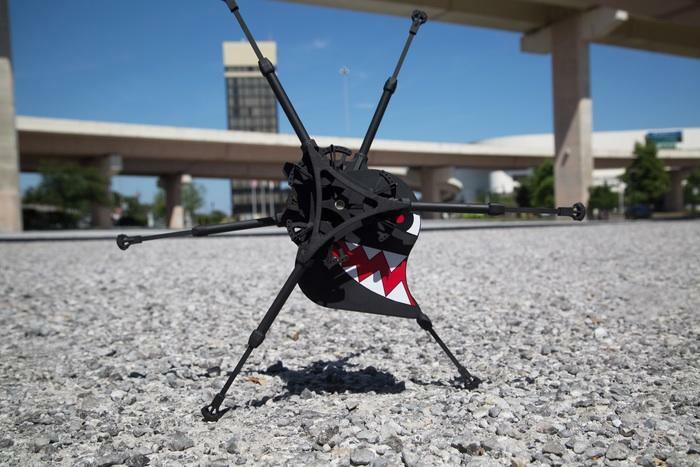 It's capable of running at up to 20 miles per hour on asphalt as well as grass or dirt and packs a two-hour battery. You can even control it using a smartphone app, though the company will also offer a remote control. 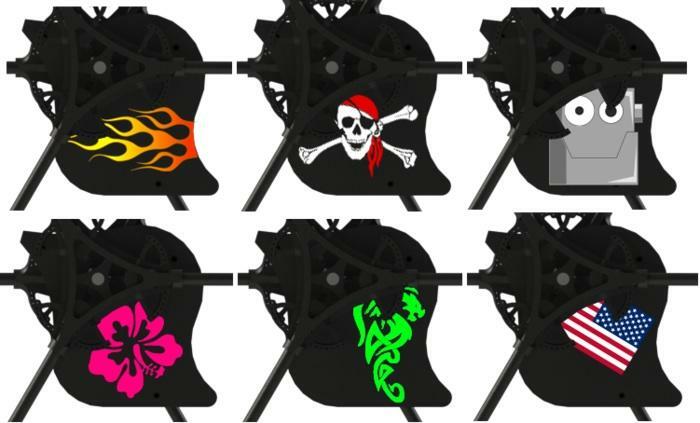 The design is pretty simple, with one central piece containing the internal hardware and sandwiched between two sets of legs on spinning gears. As the gears turn the legs spin the result really does resemble like running, though it looks more like a giant bug or an alien running than anything we're used to seeing here on Earth. 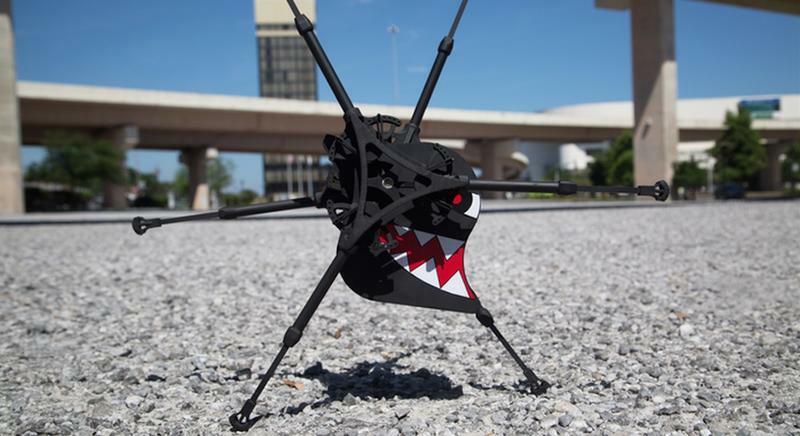 It's stable, surprisingly fast and will eventually come with up to 12 legs, though the current version only offers six with three on each side. 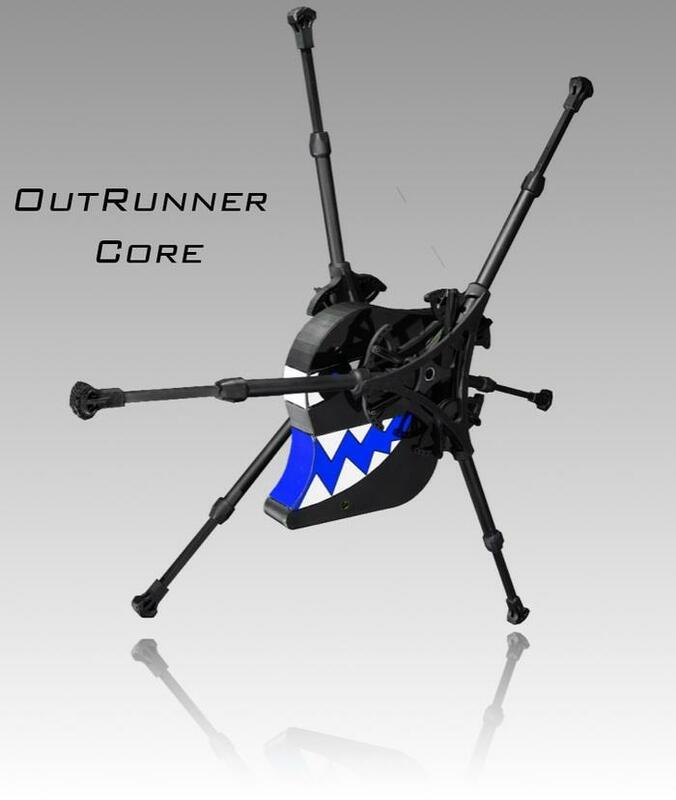 If you're interested in backing OutRunner, and ordering a running robot of your very own, you have a few options. For as little as $249 you can order the OutRunner Core, which offers 10 mph speeds and 1-hour battery life. If you're willing to pay a whole lot more—$799 to be precise—you can upgrade the OutRunner performance, which runs at up to 20 mph, offers a 2-hour battery and works with the smartphone app instead of relying on a separate remote control. Neither model will ship until July 2015—more than a year from now—though you can pay a $499 premium to get the cheaper Core robot delivered in time for the 2014 holiday season. You'll also be able to upgrade your OutRunner in the future, though Core model upgrades will be limited to sensor upgrades only. New software and hardware upgrades for the Performance robot should be easy to install on your own. In addition, anyone who donates to the project can vote on the ten final designs used for OutRunner, and anyone who orders a robot will be invited to an official OutRunner race some time in 2015. There are always some risks backing a Kickstarter project, especially when you're pouring several hundred dollars into what's essentially still just a working prototype. OutRunner's creators acknowledge that $150,000 is just the bare minimum needed to manufacture and ship early models, but they'll need even more funding to push out future upgrades that make the robot even better. Then again, if OutRunner does become a huge success it could be swallowed up into Google or a competing company interested in robotics. If you're willing to part with a few hundred dollars or more for the promise of a sweet new robot we say go for it, but remember that you're investing in a prototype not a finished product. If not don't worry, we'll be back next week with something a lot cheaper but just as cool.